There’s no question that Chautauqua Institution had far-reaching influence over the people who attended the summer assemblies at the turn of the Twentieth Century. 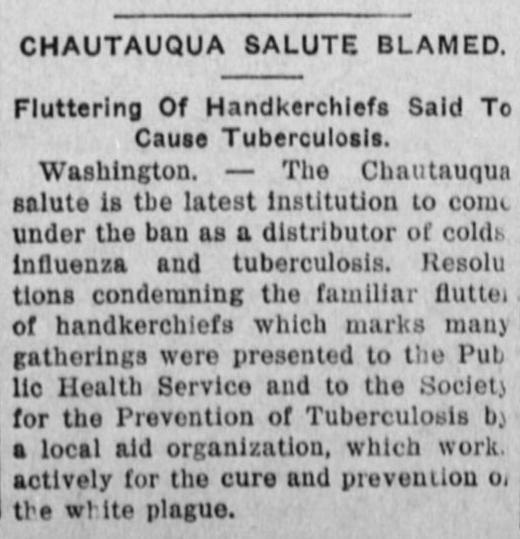 But one of Chautauqua’s traditions—the Chautauqua salute—transcended the Institution grounds and became popular across the country. 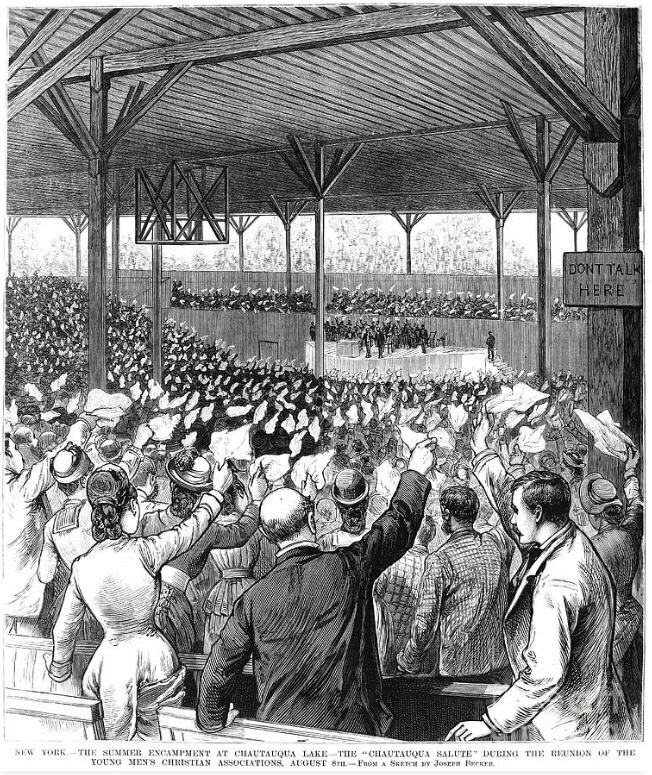 An 1880 drawing of the Chautauqua Salute by Joseph Becker. You may have read in a previous post how the Chautauqua salute came to be, and how it was used as a gesture of respect and affection for special speakers and instructors at Chautauqua. In that venue, only Bishop John Vincent could initiate the Chautauqua salute. But outside the Institution, in towns and villages across America, the Chautauqua salute caught on and became something of a sensation. 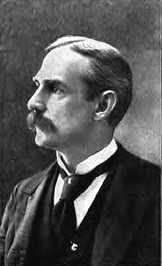 At the 1897 Society of Christian Endeavor convention in San Francisco there were so many attendees, the newspaper reported that Christian Endeavorers had “conquered the city.” And when Christian Endeavor President Francis Edward Clark tried to address the convention, the crowd gave him a Chautauqua salute that lasted several minutes. When President Theodore Roosevelt arrived in Tacoma, Washington he was greeted by a crowd of 30,000 people waving their handkerchiefs in a Chautauqua salute. 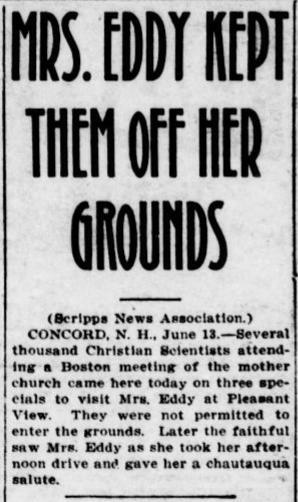 Another 1904 news article told of a group of Christian Scientists who gave the Chautauqua salute to Mary Baker Eddy … who didn’t seem to appreciate the gesture. 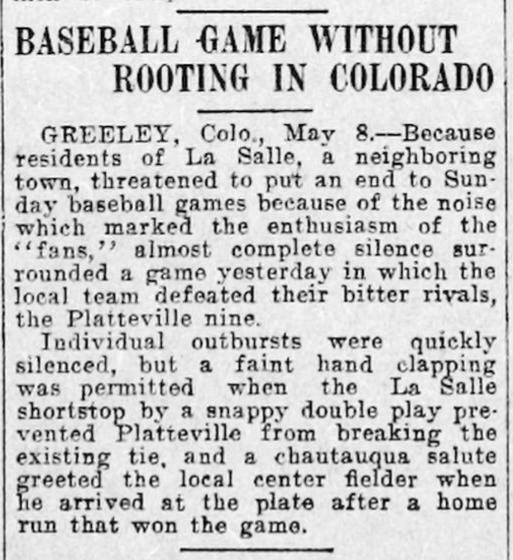 And a Colorado newspaper reported baseball fans used the Chautauqua salute to cheer for their team after neighbors near the playing field complained about the noise during Sunday games. Not everyone thought giving the Chautauqua salute was a good idea. By 1912 the U.S. Public Health Service (the precursor of today’s U.S. Department of Health and Human Services) began warning the public of increased health concerns caused by crowds of people waving handkerchiefs.